In a 2011 interview with the Goethe Institut Australia, Michelle Cahill spoke of how her work explores an ‘imaginary habitation in many places’. The Herring Lass is the latest phase of this exploration, demonstrating Cahill’s ability to move and connect repeatedly across massive distances. The sea, oceans, and bodies of water all serve as the connective tissue of this collection, tracing the edges of the world and all the stops Cahill makes along her way. But expansive as this movement makes the book, the individual poems themselves are acutely observed, the images sharply drawn, the character studies intense and specific, so that each poem has at its centre a stillness, a feeling of a breath held so as not to disturb the moment. her wet hands never stray from a salted barrel. These shorter, sharper sounds break the spell and focus the reader into the reality of a lone woman gutting fish, of what she sees, of how she must make do while ‘the sailmaker, cooper, boat builder have all prospered’. We leave her then, making her journey up and down the coast to make a living as the ships return with their catch. There is no resolution offered or needed. In zooming out once more, Cahill reminds us that the scene, woman and all, is timeless. me tempting alibis, singing the frost, blotting out stars. watch sparks flame as dancing roses, souvenirs of silence. This is work that demands re-reading, that requires the reader to taste the words, to feel them rolling off the tongue, to hear them ringing in the air. Migratory birds appear often in these poems, appropriately enough. Cahill’s observations of swans are masterful, but more startling still is the poem ‘Houbara’. At the centre of this poem is a brutal description of the kill, when the hunter’s falcon catches the bustard. back, her neck, a broken string he jabs in agony. But there is more to the poem than just the murder of this endangered bird. Cahill conjures up a vision of the hunt, the technology deployed to locate and track an unassuming bird, the thrum of a generator, singing, four-wheel drives, campsites humming with activity, all against the backdrop of an enormous desert in the Arabian Peninsula. Even the falcon is invested with intention. Most sinister of all, however, is the ‘you’ to whom the poem is addressed, the ‘you’ who turns the organisation, the hunt, the kill into a metaphor for desire that destroys its object. The book continues its exploration of the present in the ironic ‘Real Life’, which is bursting with digital and virtual life. The idea of reality, of a life, of the self, is questioned and re-questioned as the poems goes from connection to alienation and back again. Although this poem stands out because it is the most conspicuously ‘modern’ in terms of reference, it grapples with the same questions and ideas that the entire book does, perhaps most acutely so. This is a collection of great depth, both intellectual and emotional. Cahill’s voice never falters as she sweeps the reader along from location to location, bringing each alive for the duration of the poem. 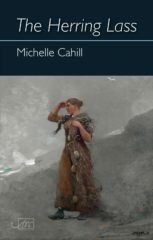 Through it all, Cahill’s voice is erudite but also curious – there is a sense of deep thought given to the smallest details, and an understanding and appreciation of their importance. Although she covers great physical distance, the poems are emotionally involved and keenly felt, showing the multitudes that one individual can contain. The itinerant Herring Lass haunts the whole book in this way, her small, sharp knife probing moment after moment before she must move on. NADIA NIAZ is a Melbourne-based writer and editor. She has a PhD in Creative Writing and Cultural Studies from the University of Melbourne where she teaches Creative Writing. 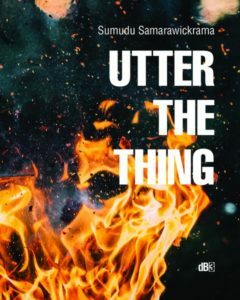 Her work has previously appeared in Cordite, TEXT, Strange 4 and The Alhamra Literary Review.